Ever been trapped in a payday loan cycle? It’s an awful feeling having to deal with the seemingly unending string of calls from payday lenders and debt collectors when you are trapped in payday loans. We understand the feeling, that’s why we have a wide variety of plans to help you dominate payday loans and effectively break the cycle Payday loans. Payday loans are very convenient small unsecured loans which you can access with great ease when an acute financial need arises unexpectedly. For that, they are very helpful. No wonder about 12 million Americans take out a payday loan at any given point of the year. It’s not easy escaping this trap because the loans are structured to keep you in debt. The payday loan business so big that the industry makes at least 9 billion dollars a year from late repayment fees alone. Why is it difficult to dominate payday loans? It’s easy to fall for payday loans and not so easy breaking the cycle; unless you have an exit strategy, like a Payday Loan Consolidation plan. It’s a market with a wide entry and a very narrow exit. Payday loans cut like a double-edged sword; while on one hand, they are convenient and reliable, on another hand they give you options to keep you in debt for longer durations than you had anticipated. For instance, a payday loan offer will often allow you to pay a late payment fee so that you can carry the loan over to the next payday. When you postpone the payment of a payday loan, the high interest rate builds up and in a few months, the interest on your loan could be more than the loan you took. And they are addictive; when a financial need arises unexpectedly, most Americans resort to these loans without a second thought. Payday Loan Consolidation companies have a wide range of financial plans that can help you break the cycle of these highly addictive loans and break you free. Their financial planners usually recommend alternative options to payday loans like borrowing from a support group, saving money for emergencies, exploring new avenues for making extra money, insurance, payday loan renegotiation, and of course Payday loan relief programs like payday loan consolidation. 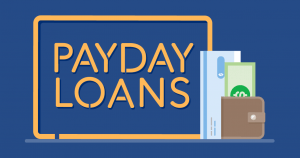 However, whichever payday loan help strategy you opt for to help you dominate payday loans, you need to understand how the plan works, the terms and the conditions so that you know exactly what you are getting into. This is important because Payday loan consolidation companies are profit-making businesses and some may make you sink deeper into debt instead of rescuing you. Why consider Payday Loan Consolidation to help with dominating payday loans? Well, there are many advantages you’ll enjoy when you resort to payday loan consolidation over other strategies. First, they help you convert your payday loans into a single loan which you can pay off with ease in monthly payments and at a low interest rate. They also put an end to calls and mail from your creditors and debts collectors and gets you out of debt fast. This is very important because you need to know the total amount of money that you are required to pay back. Imagine stressing yourself to pay huge amounts of money due to wrong calculations. Therefore create some time, sit down and go through all your payday loan debts. Ensure you realize the targeted amount to settle. If you are not accurate with calculations, seek help from our trained personnel. You need to be accurate and keen enough not to forget or leave out any of your loan debts. Be aware of scammers! Lots of payday loan consolidation companies have emerged all over. Some are genuinely good while some are incompetent and full of scams. For this reason, you need to research and get to know the reliability, profile and legal measures of your desired company. In case you are not satisfied with your research you can as well engage beneficiaries of payday loan consolidation programs. Your desired payday loan consolidation company will assign you personnel that will carry out the interest negotiations on your behalf. This is to show that you comply with the negotiated minimum payment rate between your consolidation company and the lender. You can as well ask for adjustments of terms if the minimum monthly interest rate is too much to afford. Agree with them on an amount you can comfortably pay. You will have an organized new payment plan, after conforming to the agreement that your consolidation company has laid with the lender. The new payment plan will take over the initial terms of your payday loan. The payday loan consolidation loan is also referred to as debt consolidation loan. A consolidation loan is intended to give you a loan relief as it ensures that you only commit yourself to pay one loan, per month at a reduced interest rate. It will relieve you from having unnecessary confrontations by debtors. Establish yourself with a convenient and reliable Consolidation Loan Company, and have all your loans controlled and managed swiftly. An extended repayment plan is when you seek for an added time to help you pay back your loan. People with many debts can settle on this option whenever they have little amount to settle their loans. This scheme offers them more time to top up their cash to repay their debtors. For more resources Payday Loan Consolidation, contact us today.